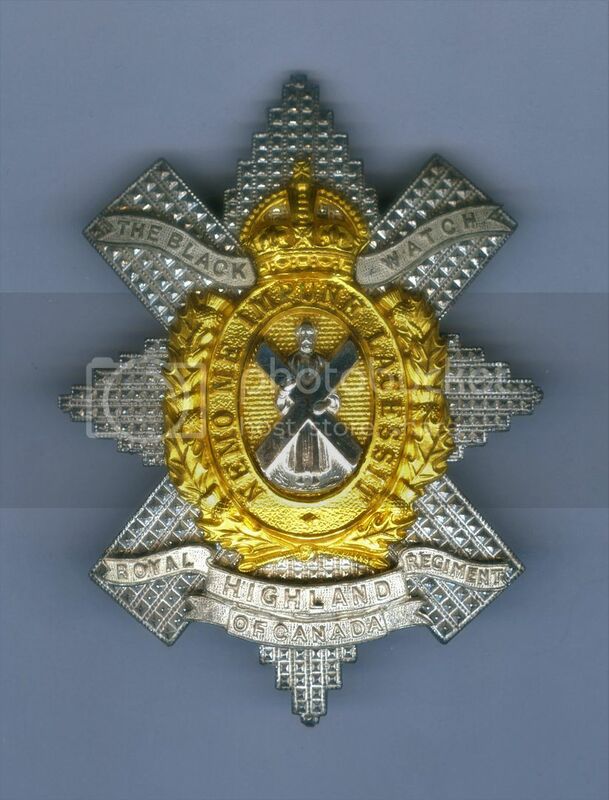 Thread: Canadian Black Watch collection. Officers silver plate and gilt glengarry badge 1939 issue. Small made in England plaque to the reverse typical of J.R.Gaunt badges.